On the episode which is airing from 20th November 2013 the show will have lyricist Vairamuthu as the special guest on the show. These 3 day special episode would feature his most popular songs sung by the contestants on the show. Vairamuthu debuting in the ‘Nizhalgal with the lyrics for the song ‘ithu oru ponmalai pozhuthu’ has now written about 10000 songs to his credit. He was awarded the National Film Award six times for best lyricist. The Top 10 Contestants Of Airtel Super Singer 4 – Sonia, Soundarya, Madhumitha, Parvathy, , Sai Vignesh, Krishnan, Syed, Aravind Srinivas, Diwakar, Sarath Santhosh are singing in front of this legendary lyricist and have put it their best performance to fight for the coveted title. These special episodes will be hosted by ‘Neeya Nana’ Gopinath and Ma.Ka.Pa. Anand. 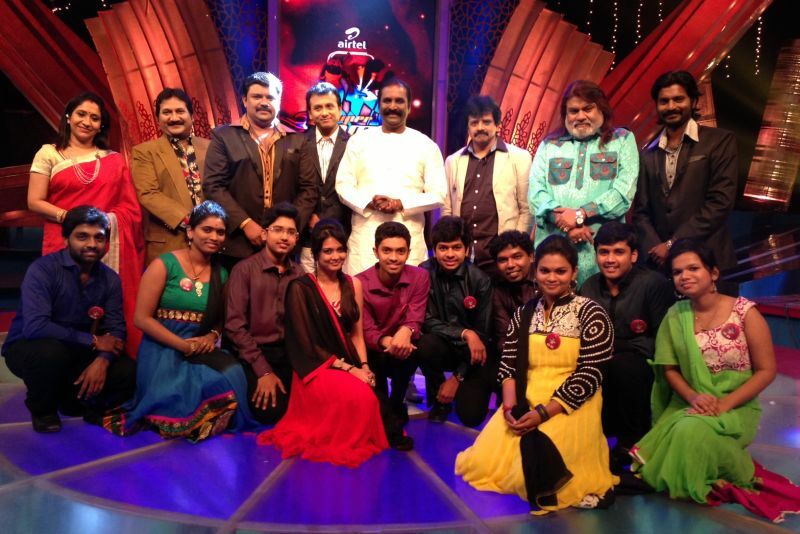 Do not miss to watch Airtel Super Singer season 4 that is airing from 20th to 22nd November 2013, only on Vijay TV.